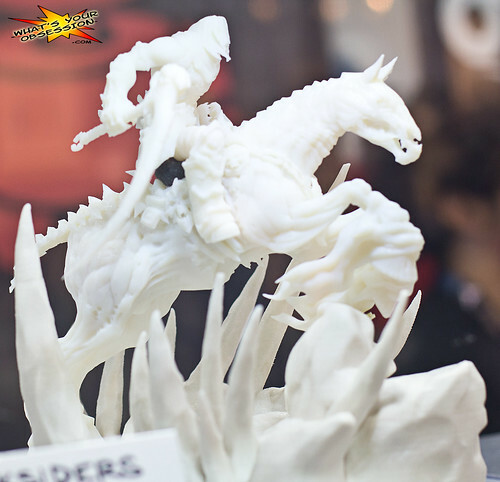 Dr Jengo's World: Darksiders Death and Dust Statue Details Revealed!! 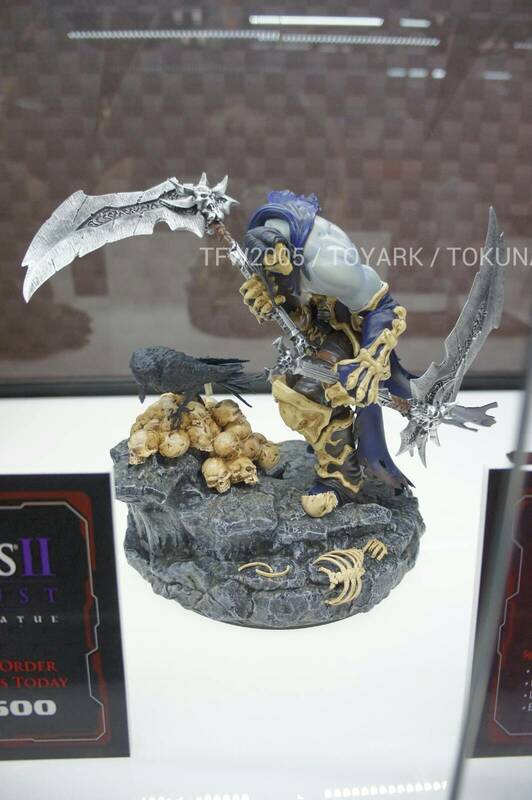 Darksiders Death and Dust Statue Details Revealed!! Remember my post on the Darksiders Death statues? 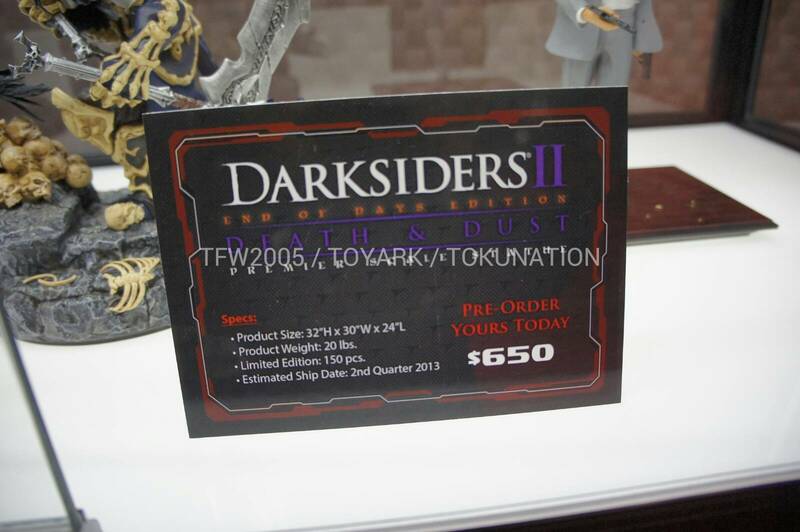 More details on the Death and Dust statue from Project Triforce has emerged at the on-going NYCC 2012. Toyark.com has some pics that shows the specs and prices of the statue. US$600?! That's expensive! And that's for the regular? There's also a "End of Days Edition" (see 2nd pic) for US$650. That's way out of my budget. Add shipping costs to Singapore and this will hit close to S$1000 including taxes, if not more. I was hoping it will be about US$300-US$350 like the SOTA toys range of statues. But it's for a reason.. look closer at the specs and you will see it's 32" tall. That's way bigger than your regular 1:4 scale statues. That's huge! It certainly doesn't look that big in the pic. (Is it a smaller version? Well.. at that price, I'll be passing on this magnificent piece.. sadly. 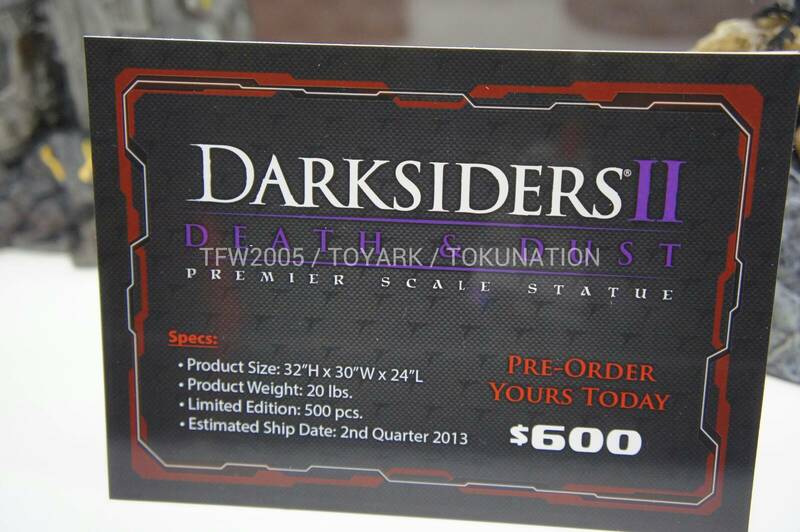 Was excited to see another company other than SOTA toys doing Darksiders merchandise. I was definitely looking forward to this line when I saw this Death version without his horse, even though I found the pose really weird. But for now, I'll await the Death and Despair Statue from SOTA toys, which is in now way inferior to the above-mentioned Death statue.